Gilano is a one of the leading Pakistan Dates Exporters and they can provide Premium Begum Jangi Dates from Pakistan. Firstly, Premium Begum Jangi Dates are unique in taste and enriched with natural vitamins that keep you fit and healthy. Secondly, Begum Jangi Dates are known for their exquisite sweet taste and delightful. Thirdly, these Organic Begum Jangi Dates are the best among the Pakistani varieties of Dates. 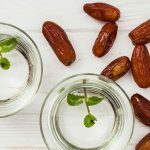 Therefore, special dishes, bakery products, ice creams and desserts uses Pakistani Begum Jangi Dates for enrichment, taste and nutritional values. 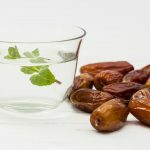 Begum Jangi Dates are soft and short dates. Medium thin skin and rather easily broken, soft, syrupy tasting date. As a result they possess a unique flavor. This variety has high invert sugar. Therefore, mainly used for ingredient/formulation applications. It has a long shelf life and can be stored for a long time period. 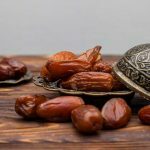 Pakistan is the only producer of Best Quality Begum Jangi Dates in world dates market. Therefore, its production makes up a good share of Pakistan’s total date crop. These are harvested from August 15 to September 14. Begum Jangi Dates plantation in Pakistan are spread in the areas of Baluchistan Province mainly in Mawach Khail, Proom, Turbat, Panjgur and Tump. We have dedicated a large portion of our Dates Farm for producing Organic Begum Jangi Dates. We pick our special product Organic Begum Jangi Dates from our Dates Farms. Than these are processed at factory plant. In conclusion, our Organic Begum Jangi Dates are offered to selective exporters in different forms and shapes like Pitted Dates, Unpitted Dates, Whole Dates, Half Dates, Quarter Dates & Chopped Dates.